What is the H.323 Global Network? The H.323 Global Network (HGN) is a network interconnected video conferencing systems, desktop video phones, and video softphones around the world using the international standard H.323. HGN-compliant terminals and networks must adhere to a specific set of requirements in order to ensure universal interconnectivity, all of which are features of the H.323 protocol, DNS, ENUM, etc. The HGN is built on open standards. H.323 is a video conferencing protocol standardized by the ITU-T that operates over IP networks and has enjoyed worldwide success both for videoconferencing and IP Telephony. The most recent version of H.323, H.323 Version 7, was standardized approved in November 2009. Virtually every manufacturer of video conferencing equipment supports H.323 today. If your videoconferencing system works over IP, it is quite likely an H.323-based system. The H.323 Global Network is the world-wide collection of H.323 endpoints all interconnected using the procedures defined in the H.323 specifications and documented on this site. This site does not offer video calling services, though we provide support services in the form of RDS records. In any case, there is no cost for the services we provide to help enable the HGN. That said, to get connected to the H.323 Global Network, you need H.323 software or hardware and a service provider. There are both free and commercial HGN-compatible services available. I am an enterprise, so how can I use the H.323 Global Network? Making use of the H.323 Global Network is a matter of configuring your H.323 videoconferencing equipment per the guidelines provided on this site. 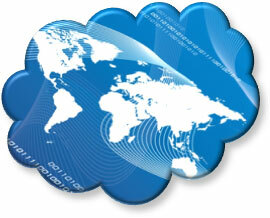 The H.323 Global Network is not a network of services in the cloud offered by a single company. Rather, it's just a well-defined way of configuring standards-based equipment to operate over the Internet. Of course, some service providers may operate in the cloud to provide the same or similar services that a corporate IT department might provide. Why the Need for an H.323 Global Network? Most videoconferencing systems, desktop video phones, and video softphones that support H.323 are not interconnected today. They exist on little "islands", unfortunately. Most users are only able to talk to a small number of users with which their hardware or software products have been configured to communicate. The H.323 Global Network helps address this issue by publishing information so that equipment owners can configure their equipment properly to interconnect with the rest of the world. Can I Connect My H.323 Device? Absolutely, though you may need to upgrade the software in your product or utilize the widely popular GnuGK in order to address some of the deficiencies with older hardware and software products. The HGN uses some of the more advanced features of the H.323 standard and not all products have caught up with the most recent standards. Review the Configuration Guide in order to see what you may need, but you might just want to ask your equipment manufacturer if they are compatible with the H.323 Global Network. How Do I Call Other Users? We really, really want to get away from those old legacy phone numbers, though. So, our plea to the community of users and equipment manufacturers is to try to make the network addressable primarily via H.323 URLs. This will be a challenge, but let's set a goal of getting there within a few years. Does My Company Have to Register with the H.323 Global Network? No, you do not. To be a part of the H.323 Global Network, you merely need to configure your equipment to be compatible with the HGN. Your organization owns and manages every aspect of your connectivity into the HGN. The HGN is a fully-federated network, meaning that each domain owner operates its network elements, including DNS, Gatekeepers, and videoconferencing equipment much like it does for other Internet services like email or web. What If I Find Something Broken? Let us know! We're committed to addressing any obstacles to make the HGN a success.